Aside from egregious micro-transactions, and more open-world games that we can count, this generation of gaming has also seen an enormous number of remasters, remakes, and re-releases of games that originally released on other platforms. Burnout Paradise Remastered is one such title. Interestingly, it is series publisher EA’s first remaster this generation. Previously available on PS3, Xbox 360, and then PC, Burnout Paradise was one of the first open-world racing games, a genre that the superlative Forza Horizon series now calls its own. It was known for its stellar sound track, slick presentation, and an abundance of varied events. These ranged from standard races to Road Rage, which had you taking down a specific number of opposing cars; and Marked Man, where you have to reach a destination while several other opponents attempt to stop you by wrecking your ride. The gameplay loop was simple: win events to unlock new cars to open new events. Rinse and repeat. Or like us you could just spend all your time exploring every nook and cranny of the titular Paradise City while listening to the Skybombers. Thankfully, all of these elements make the cut. In terms of feature set, Burnout Paradise Remastered is close to the original. 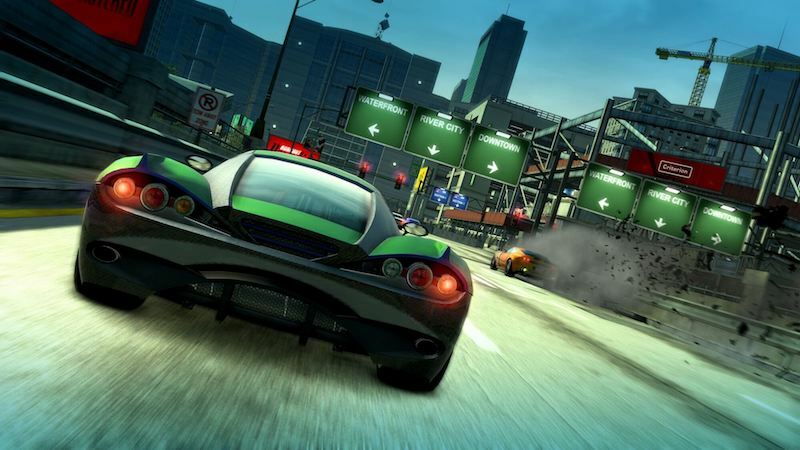 You lose the ability to input commands that would grant access to cars given as pre-order exclusives, and get the addition of being able to tweak gamma and saturation along with brightness in the game’s settings - apart from that, it’s pretty much the Burnout Paradise you know and love. And like most remasters, it comes with all its free updates and premium downloadable content (DLC) such as Big Surf Island, Cops and Robbers, and Burnout Bikes to name a few. The sense of familiarity extends to the gameplay as well. From barreling down tunnels in a Road Rage event, taking down every car in your way, to enabling Show Time — a mode that lets you do damage as possible to traffic along a road - it’s fast, visceral, and fun. Even the crash sound effects maintain their subtle differences. Ramming into a concrete wall provides an oddly satisfying noise not too dissimilar from crushing an aluminium can while blitzing into another car has engine rattling and tire screeching sounds as you’d expect. The controls are just as good as you’d remember them. They’re responsive, allowing you to make last moment turns and spectacular jumps with aplomb. Since it’s an arcade-styled racer akin to Forza Horizon and past Need for Speed games, you simply have to worry about driving fast. Holding the right trigger lets you accelerate while tapping a button gives you a speed boost, and performing manoeuvres like near misses and drifting allows you to extend your boost. You can reverse and break as you see fit, but with an emphasis on high-speed thrills, it’s unlikely you’ll be doing much of these. It’s as uncomplicated as it gets. Also unchanged is the game world. From locations like garages to let you swap your car, to repair shops that you can zoom into mid race for a quick fix, it's almost untouched. Old-timers will notice minor changes though, for instance billboards that had real-world companies have been removed with generic options and those featuring the game’s original developer, Criterion. Plus, the intro video includes Big Surf Island on the map and the map itself has been updated to scale better on modern displays. Where Burnout Paradise Remastered falls short is in its visuals. Boasting full 1080p support for the PS4 and Xbox One along with 4K resolution for the PS4 Pro and Xbox One X, it doesn’t look as good as it could be. Compared to the original release (which we replayed alongside Burnout Paradise Remastered) it's noticeably sharper with improved textures and slightly more varied colours, but there’s nothing that would make us think it warrants the Rs. 2,999 ($40 in the US) price tag. More so when it still sports jagged edges in its environments. Buildings, trees, and railings suffer from aliasing that’s even more apparent since the rest of the game is clean. Throw in the fact that the frame rate of 60fps is identical to the original, and it's far from good value. All you’re really getting is a visual upgrade that resembles a late last generation Xbox 360 and PS3 title. It’s all the more striking because the original holds its own once you look past its somewhat dated appearance. On the whole, the remaster just looks unimpressive. And this is the problem with Burnout Paradise Remastered. It simply isn’t enough to try to modernise its graphics and call it a day any more when other games go the extra mile for your money - Metro Redux with welcome gameplay improvements along with the obligatory boost in graphics, and Gears of War: Ultimate Edition fixed progression issues as well as being a technical step up — or in some cases, for free. Case in point being the first Forza Horizon getting substantial Xbox One and Xbox One X enhancements after being made backwards compatible for no extra cost. Perhaps it's a testament to how good Burnout Paradise was when it first released back in 2008 that it's still playable to this day. Nonetheless, with Burnout Paradise Remastered costing Rs. 2,999 ($40 in the US) we can’t justify spending that much when you’re getting so little. The original is available as an Xbox One backwards compatible title for Rs. 699 ($6.99 in the US) as a digital download and costs around the same for a physical copy, while PC gamers can grab if for Rs. 299 on Origin ($19.99 in the US). Given the variance in price, this is the better option. Burnout Paradise Remastered is a lacklustre take on one of last-generation’s most beloved titles. We’d recommend waiting on a price cut before considering to pick it up. There simply isn’t enough to justify a purchase at its current price right now. Gadgets 360 played a retail copy of Burnout Paradise Remastered on the Xbox One X. The game will be available for PS4 and Xbox One for Rs. 2,999 ($40 in the US) from March 16. A PC version is scheduled for a later date. 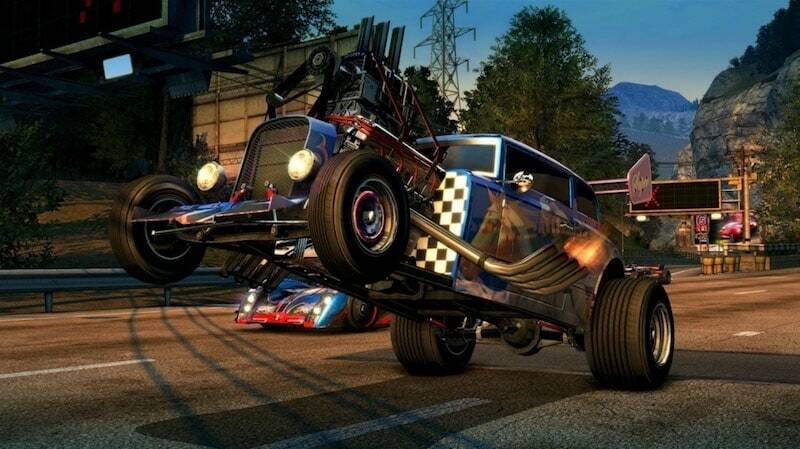 product Burnout Paradise Remastered for PS4 and Xbox One is a modern take on a PS3 and Xbox 360 classic. Is it any good? Find out in our Burnout Paradise Remastered Review.